You’ll need two fat quarters (and you’ll have some scraps leftover). 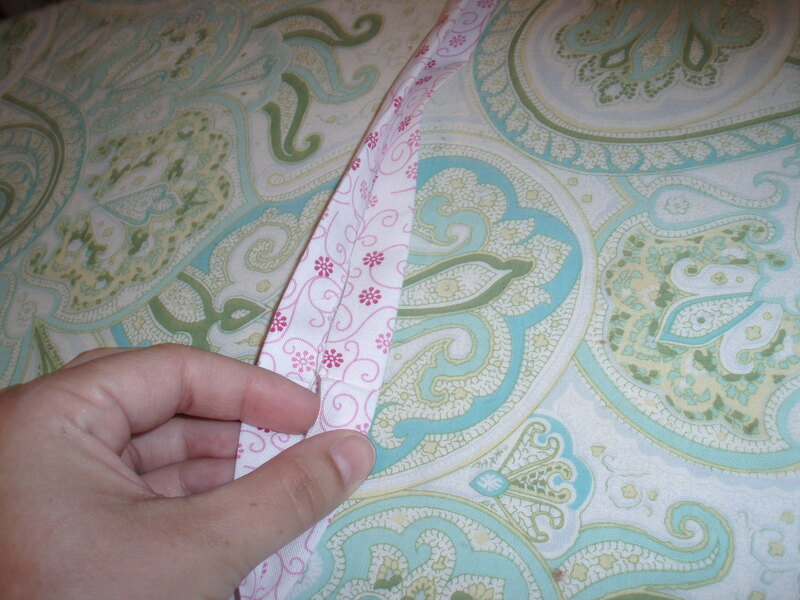 With your “main” fabric, you’ll just want to cut your fat quarter in half (making it 18″ wide by 11″ long). The other half of that fat quarter is scrap. Take your contrast fabric, and cut it as follows. You’ll cut three 3″ strips (3″ x 18″). 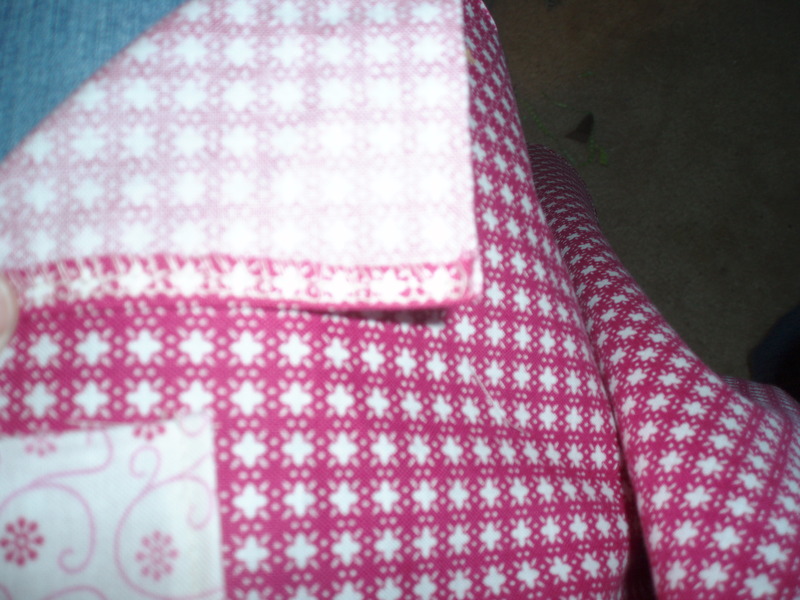 (If you would like a wider waistband, you can cut 4″ strips if you wish- you’ll have enough fabric for it.) 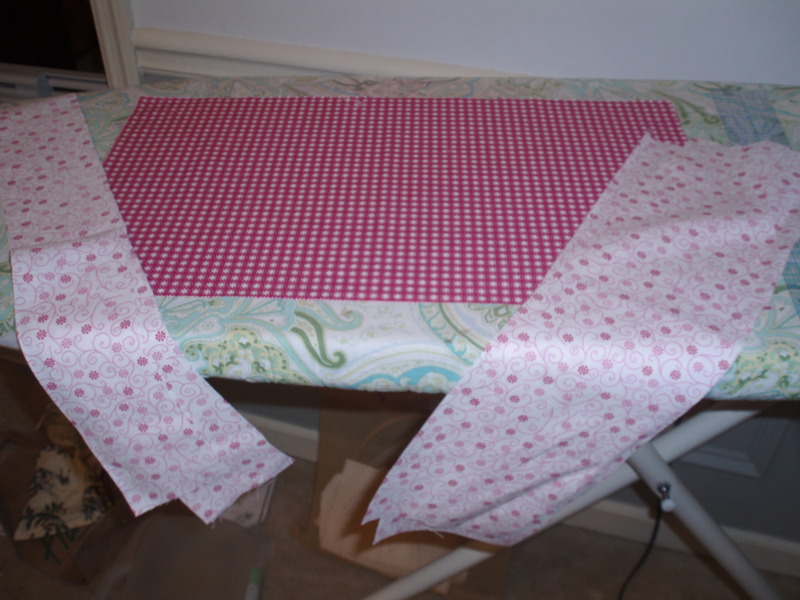 Then you’ll cut two 5″ strips (5″ x 18″)- those will make your frilly little top! Sew the 3″ strips together end to end (you can sew them on a diagonal if you are concerned with bulk- I just sew mine straight). You now have one long 3″ strip that will be your waistband and ties. Finish the sides and bottom of your main skirt body. Do it in that order- sides then bottom. You can do a nice double fold hem. 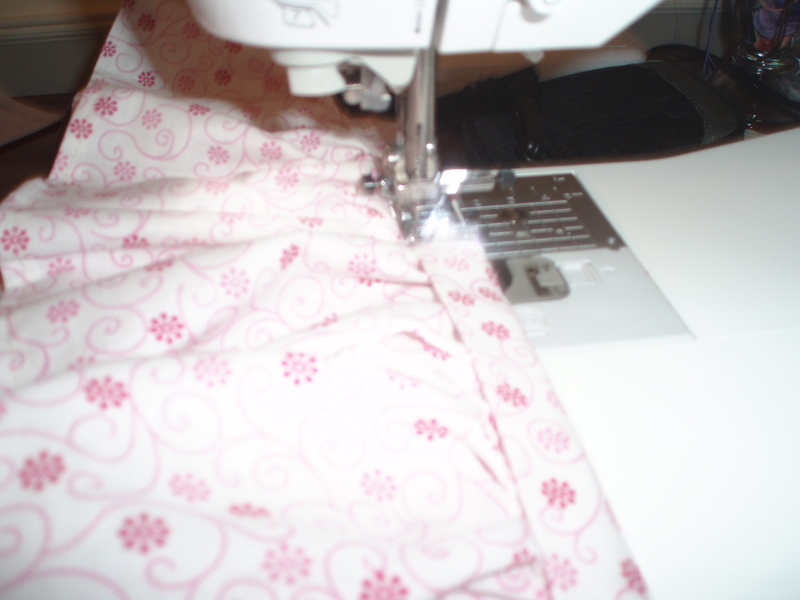 I serge my edges (because I have to use my serger for something) then fold the under and sew close to the edge. Put a basting stitch into the top edge your ruffle (that 5″ strip that now has finished sides and bottom) so you can gather it. If you’re new to sewing and don’t know what I’m talking about- a basting stitch is just a temporary stitch. 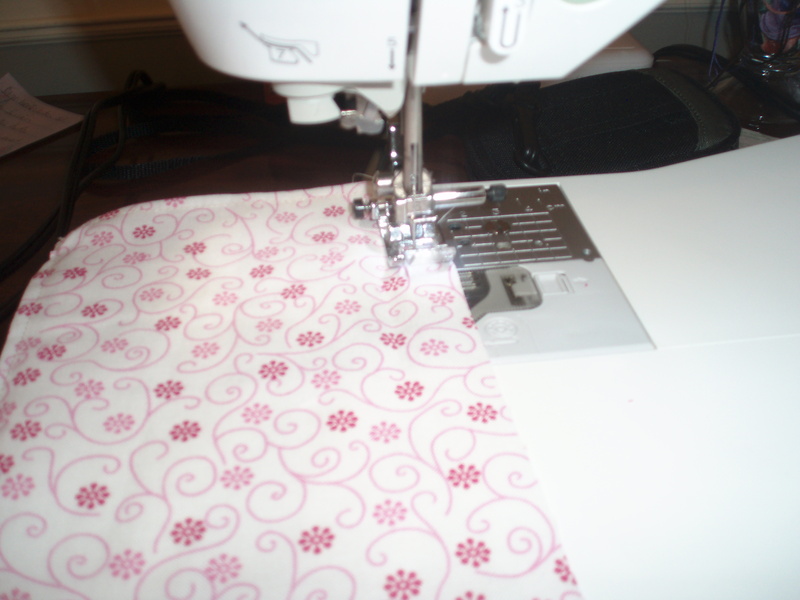 Set your straight stitch on your sewing machine to the longest length you’ve got. You want to put it about a quarter of an inch from the top edge of the ruffle. Leave a long “tail” of thread at each end of the stitch. Pulling on just one string, slowly pull the thread to gather the fabric. 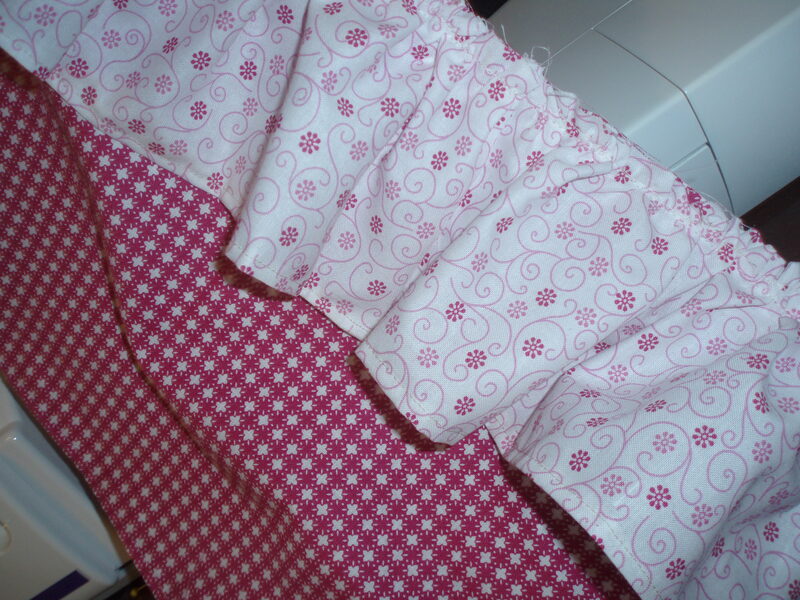 Pin your ruffle to the top on the apron body and sew together. You want your ruffle the same width as your apron body. This top unfinished edge will be encased inside the waistband- so don’t worry about finishing the edge. Take your 3″ strip and press it in half (long ways). Tuck the unfinished edges into the center and press again. (Think- double fold bias tape.) In the picture above, I am opening the creases so you can see. Line the apron body up in the center of the waistband/tie. (You can use your seams as guides. The middle section should be about the right size for the apron body.) Pin the top of the apron body to the waistband. You’ll slip the upper unfinished edge of the apron body into the middle of the waistband, sandwiching it inside. 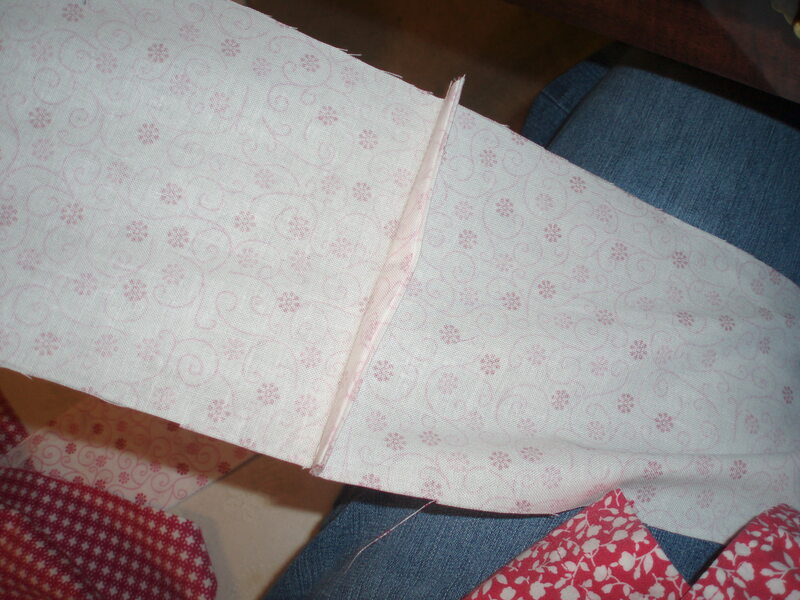 Sew close to the lower edge (the one toward the apron body) of the waistband. Sew past the apron body to the end of the tie. Flip your apron over and finish the tie on the other side. Tie a knot in the end of the tie. All done! Now your little princess has her own hostess apron! As usual, you can do what you like with your finished product of my design. Sell it. Swap it. Gift it. Keep it. I don’t mind. Just don’t take credit for the design itself. And for the love of free- share the design! Visit my shop, Moose and Wormy! 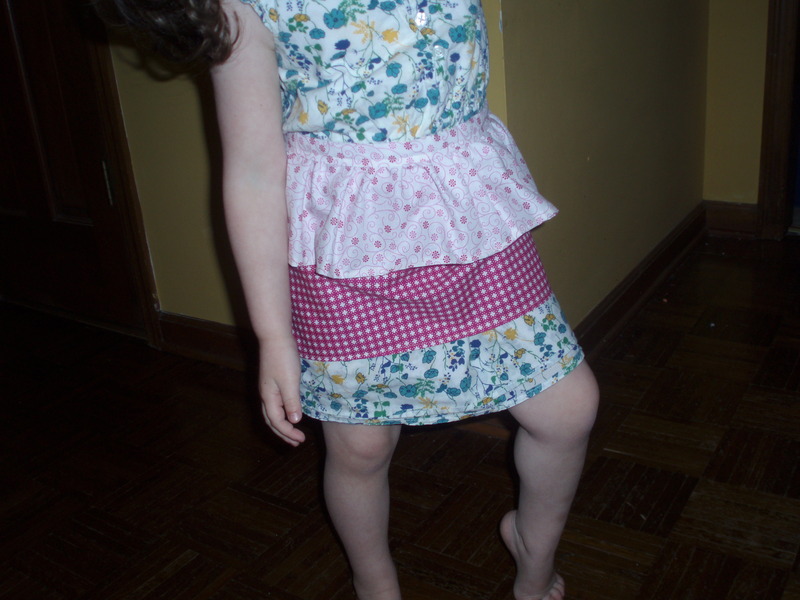 Want a tiny hostess apron but don’t sew? 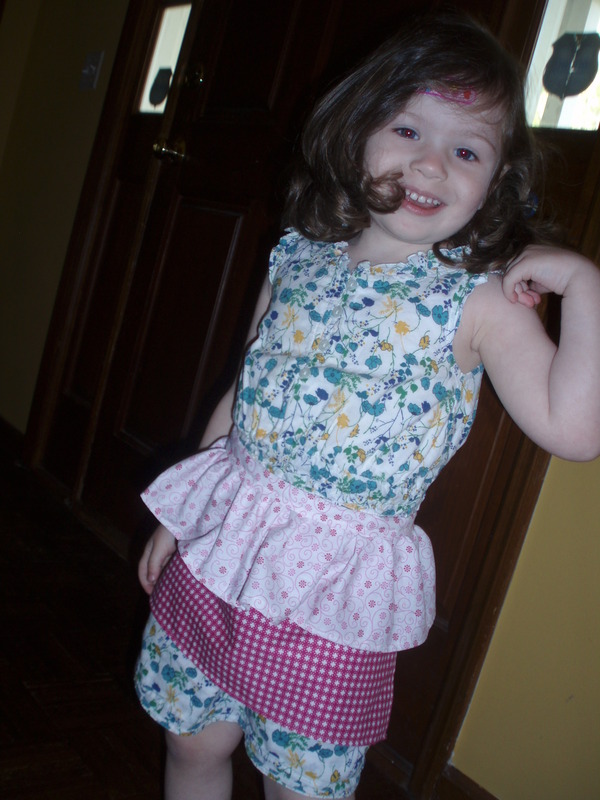 Contact me here or via my shop and I’ll make a custom apron for your little hostess!